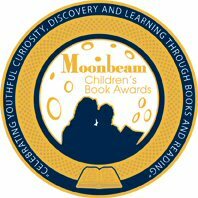 More children's book news on Book Awards. The short-list for the GGs in children's literature in both text and illustrations are out and we have couple of west-coasters among them; John Wilson and Iain Lawrence. Now what I'm trying to figure out is why was Margaret Atwood on the jury for illustration? Ain't life strange! Richly evocative in word and image, Carnation, Lily, Lily, Rose is a fictional account of the creation of a painting, which also tells the larger story of the creative act. As he paints, artist John Singer Sargent is meticulously observed by young Kate, who longs to be immortalized in a great work of art – a beautiful book. Elijah Freeman, the first child born of freed slaves in Canada, is the protagonist in this tale which is by turns hilarious and tragic, and always an engaging historical adventure. Christopher Paul Curtis’ creation stands shoulder to shoulder with Mark Twain’s Tom Sawyer and Huckleberry Finn. Gemini Summer is an exquisite portrayal of two brothers’ fascination with the Gemini missions at the height of the space race in the early 1960s. 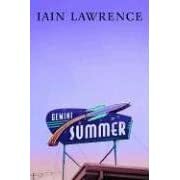 A spiritual bond with a stray dog and complex issues of family, life, and death are at the heart of this beautiful novel by Iain Lawrence. In this engrossing historical adventure, John Wilson paints a vivid picture of a bygone era involving Henry Hudson’s fateful search for the elusive Northwest Passage, an alchemist, mysterious passengers, and enigmatic maps. The Alchemist’s Dream fascinates from start to finish. 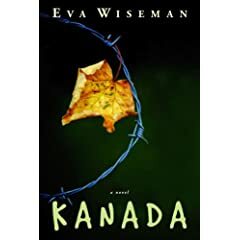 In Nazi-occupied Europe, fourteen-year-old Jutka dreams of the Canada she has seen in a book, but before her family can flee to safety, the Nazis invade Hungary and Jutka and her family are sent to Auschwitz. There she engages in a daily battle for survival while never relinquishing her dream of one day making it to Canada. Wallace Edwards’ The Painted Circus both charms and astonishes with its ingenious, detailed, colourful and excellently rendered picture puzzles. The viewer becomes a participant in the effort to solve the book’s complex mysteries. 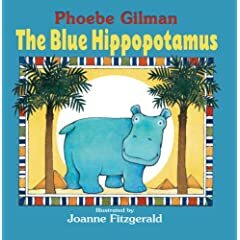 Joanne Fitzgerald’s beguiling, warmly-toned and decorative series of illustrations perfectly reflects the text, helps it to tell its story, and displays the artist’s painstaking research, as well as her efforts – both in her use of colour and in her choice of detail – to accurately render the ancient setting of this tale. 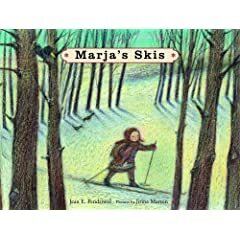 Jirina Marton’s vivid, painterly illustrations expertly and touchingly create both of the moods required by the text – the chill, snowy, shadowy exteriors of the winter scenes, and the warm, lamp-lit interiors. (Tundra Books; distributed by Random House of Canada) ISBN: 978-0-88776-715-9 -image not available. Dušan Petričić’s humorous, dynamic and vividly expressive pictures perfectly complement the text of My New Shirt. The device of arranging the illustrations as a series of snapshots allows the figures to move as in a flip book, and the colour choices – both subdued and vibrant – are an unusual technique for portraying the realistic but comic events of the story. (Simply Read Books; distributed by Publishers Group Canada / Raincoast Business Services) ISBN: 978-0894965-33-0-image not available. Duncan Weller’s The Boy from the Sun, with its striking mix of techniques, lures the unsuspecting reader away from a dark, gloomy and featureless industrial-urban milieu into a brilliantly coloured alternative world of light, colour and hope.